If you need to keep a perishable item such as food in a convenience store, farm or laboratory, or perhaps flowers at a florist, then you know that keeping your product fresh and safe for your customers is a priority. This is a challenge for some who are concerned with walk-in cooler pricing. Maybe you haven't taken a look lately, but it might be more attainable than you think, many small businesses will leverage a short-term loan for purchases like this. If you haven't taken a serious look at walk-in coolers and the pricing you are probably leaving money on the table. This is money you could be putting back into your business. You may check common questions regarding this. Not to mention the improvement in how long food or other items that require refrigeration or freezing last, are fresh and ultimately save you money. Whether you own a store, laboratory or are in some industry that requires refrigeration you need to take a closer look at the walk-in cooler and walk-in freezer cost. Refrigeration is so much more efficient these days with improved equipment and advanced insulation that there are coolers that keep stuff cold for up to 5 days - and that is with only ice. Imagine a walk-in cooler with the most modern compressor and insulation combined to provide excellent cooling at an affordable price. There are companies like KPS Global that are experts in not only what materials are best for a walk in coolers but specialize in installing them with customer-focused innovations to give you the solution you need. So now the cost. Depending on the size of your walk-in cooler will affect how much it cost to run every year. The prices vary widely between a walk-in refrigerator and a walk-in freezer. For instance, a six-by-six walk-in refrigerator cost roughly $70 to operate per month whereas a six-by-six walk-in freezer can cost around $300 per month. It can cost around $150 to operate a ten-by-twelve walk-in cooler or about $440 to run a ten-by-twelve walk-in freezer depending on current cost per kilowatt in your area. The upside to a new walk-in freezer, of course, is that you're able to save money for meat, specimen samples, and other items because they can be stored for a very long time so it does save you money and by not having to go back and buy more of those things over again. So the $300 to $440 per month can be offset by these kinds of savings. The monthly costs below were calculated using the national average cost per kilowatt hour and then multiplied by the hours used in a year and divided by twelve. They are simple averages. Of course, these are what would be considered rough estimates, but they should give you an idea of what it cost comparatively. In the examples above $0.1071 per kilowatt was used which was the national average at the time. So the cost will vary depending on where you live and what the average price per kilowatt is for you. What is interesting is that the price does not change with the unit sizes as you would expect them to, this speaks to the efficiency of the design, materials used and the low energy equipment used to run them. 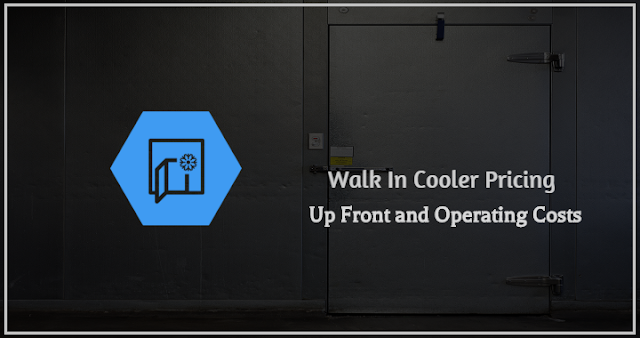 With all things being equal it was easy to make a list above but now let's dig a little deeper and lay out some other factors that will affect the monthly operation of a walk-in cooler or freezer. The type of insulation used in the unit can have a significant impact along with how efficient the compressor is along with the rest of the refrigeration equipment. Ambient and internal temperature is a factor for any cooling system. Where is the unit located? Is it sitting in the sun? Next to an uninsulated wall? What is stored in the unit? Meat or other similarly dense materials take a lot more energy to refrigerate or freeze compared to something like water. 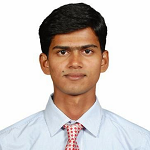 The frequency that the door of the unit is opened and how long it is left open will affect operating cost. If you were to take the most standard commercial walk-in coolers or freezers and set them side by side, you would see that many of the basic components are standard. What sets a unit apart from its competition is are the options available in the refrigeration system. There a few different kinds of refrigeration systems to choose from. The first being the self-contained refrigeration unit. The self-contained system is relatively self-explanatory. All the parts are housed into one structure that is generally on top of the cooler and puts cold air into the cooler or freezer through a vent in the ceiling. There are a few things to consider in regards to a self-contained system. First, the structure that houses all of the refrigeration parts exhaust hot air into the area the walk-in is sitting. While this may not affect what it cost to run a walk-in cooler, it may affect how much it cost to cool the area around your walk-in refrigerator or freezer. Second is the noise from the self-contained unit can be a problem if you weren't expecting it. A remote system has two parts to the refrigeration unit. One piece is located on the walk in, and the other is remotely located. There is an evaporator that is located on the walk in where it houses the cold part of the two-part system. It consists of coils and a fan. The second part is separate from the first but may or may not be attached to the cooler or freezer itself. It may be on the roof of the building it is in, or it may be in the building but separate from the rest of the system. Once you have considered walk-in cooler pricing, you may be a little hesitant to make the decision of which one you want to buy. Nobody wants to make the wrong decision and cost their business or company money. Nobody wants that kind of recognition! The great thing about things like walk-in coolers and freezers is that there are already experts you can reach out to that will help you pick the unit that your business needs. When you are looking to improve or grow your business we have the resources you need. Keep reading for more information!